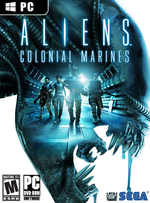 Aliens: Colonial Marines is a First-Person Shooter set in the Alien movie franchise universe in which the player takes on the role of a member of a squad of colonial marines sent to the planet LV-426. 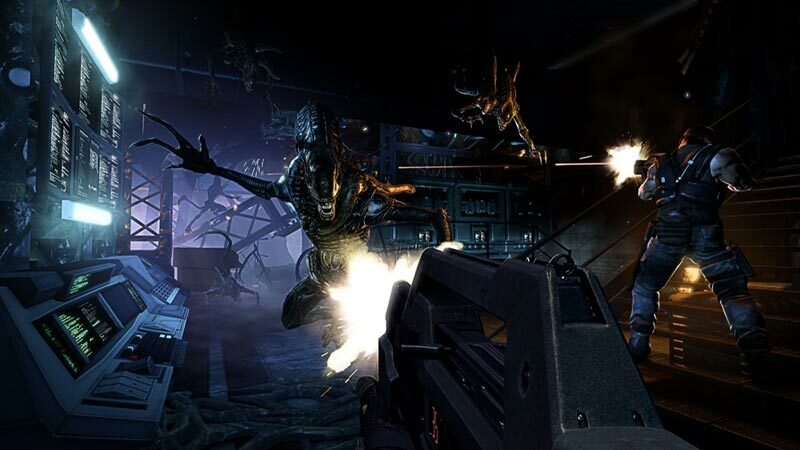 The game is designed as a true sequel to the 1986 movie, Aliens, done in video game format, and features iconic locations, weapons and alien varieties from Aliens and other movies in the series. Additional features include: four-player co-op functionality, a new alien type, and customizable weapons. The first tactic smacks of relatively harmless publisher cynicism. The second is shockingly insidious. 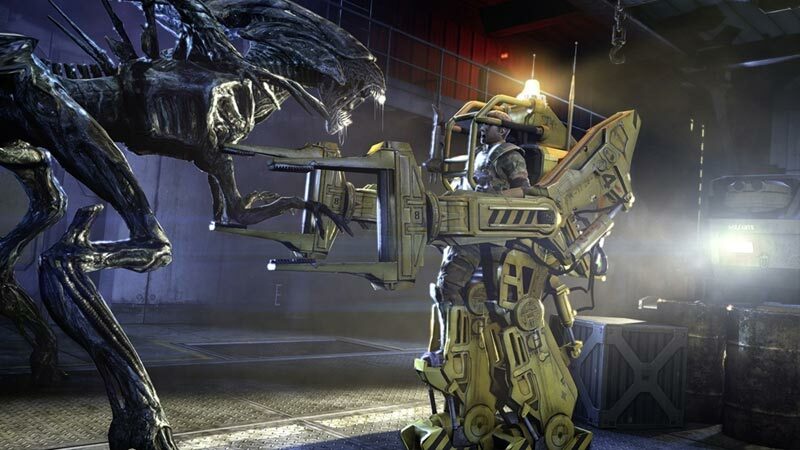 After playing Aliens: Colonial Marines, I’m no longer scared of aliens, or Weyland-Yutani. But I’m a little more worried about real life. It works, just about, and it comes across as a game developed to attain that one lowly goal -- to simply work, to achieve the bare minimum quality required to escape being labeled unplayable. The result is something that is, indeed, playable, but nonetheless heartbreaking in its awfulness. 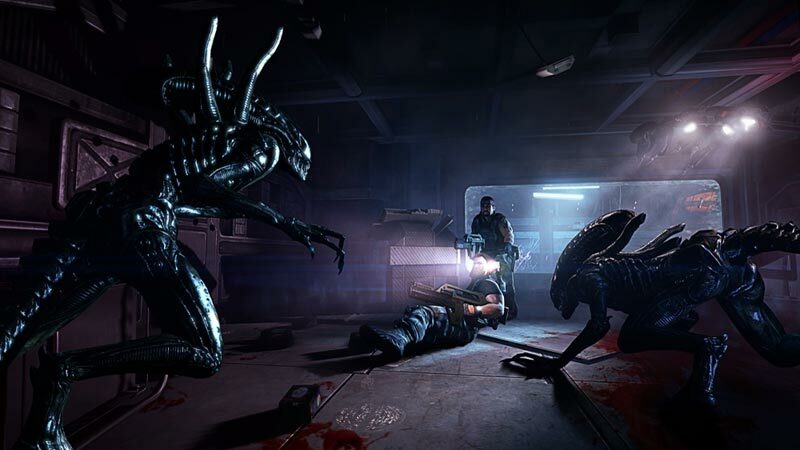 Aliens: Colonial Marines looks like Aliens, and sounds like Aliens, but unfortunately it just doesn’t feel like Aliens. Instead, it feels indistinguishable from almost every shooter you’ve played in the past twenty years. ...plays more like dousing a fire, your persistent spray of ammo directed inarticulately at a steady flow of enemies crawling out of the scenery. Colonial Marines is ultimately a pretty disappointing game. It shows a ton of promise, and gets the full Aliens motif down to tee. Unfortunately it lets its foot off the gas when it comes to the gameplay, and without that it devolves into just another bland shooter in what is now a sea of games just like it. That said, it probably is the best Aliens video game adaptation to date, but beforewarned, this movie ticket does not come without its pitfalls. It’s a shame that the actual license hasn’t spawned anything approaching those levels of success. Aliens: Colonial Marines’ odious mess can be smelled from low orbit, and only the most ardent Aliens fans will find anything redeeming. 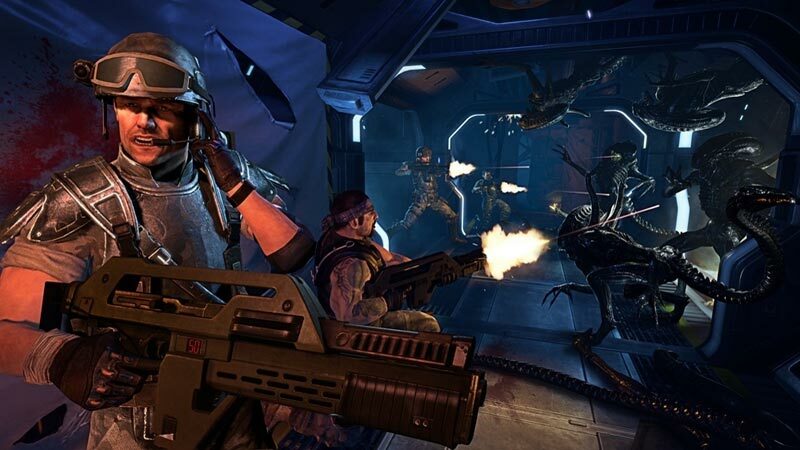 Aliens: Colonial Marines is deeply underwhelming. Neither staged carefully enough to be scary nor dynamic enough to be exciting, it succeeds only where other players are capable of breathing life into it. There are better linear shooters, better asymmetrical multiplayer games, and better Aliens sequels, and your love of the motion tracker and pulse rifle would need to be profound to surmount those obstacles. Instead of the properly reverent Aliens sequel Gearbox supposedly set out to make, they've shoved this awful, grotesque thing into the chest cavity of the very franchise that they purported to love. I kind of hope that disappoints them, because it sure as hell disappointed me. Gaming owes a lot to James Cameron's Aliens films, but despite having its DNA present in just about every science fiction game ever made, Aliens has struggled to get a proper one of its own in the past decade. Aliens: Colonial Marines continues this disappointing trend, making for an experience that's more Aliens: Resurrection than it is Aliens. 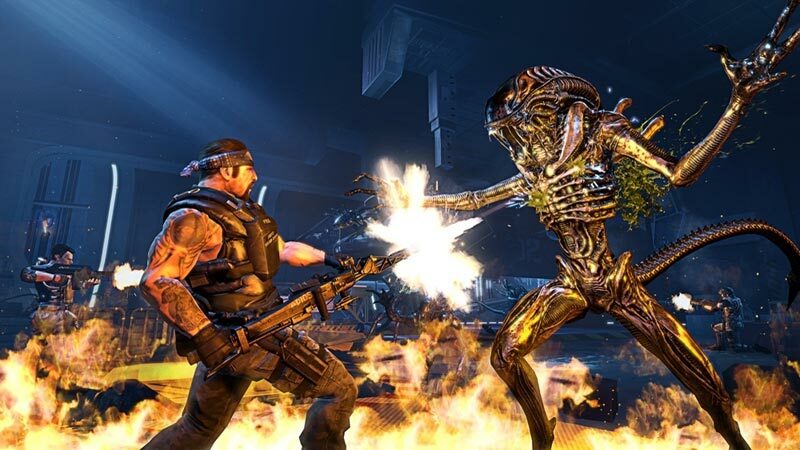 Aliens: Colonial Marines plays like a budget title from early in this console generation. The production values are underwhelming, and there's very little game present. Those things are enough to make Colonial Marines bad. But the infuriating amount of confidence on display as Aliens: Colonial Marines systematically misses the point again and again is what really poisons the experience. The marriage of a first-person shooter and the Alien franchise should be a perfect fit, especially from Gearbox, a team rooted in the genre. And yet, the pairing eludes a happy ending once again. Aliens: Colonial Marines isn't disappointing because it couldn't live up to lofty expectations, it's disappointing because it turned out to be such an unfettered disaster. ...isn’t able to connect its action to any real sense of drama or terror, completely missing the aspect of psychological horror that gave the film its edge. The first two Alien films are steeped in mystery and anxiety, qualities all but absent in developer Gearbox's lackluster interpretation. Instead, Aliens: Colonial Marines is a shallow bit of science-fiction fluff with cheap production values and an indifferent attitude. It's forgettable enough to deem unnecessary, which is a grievous sin for a game in a universe brimming with so much potential. I’m pretty sure that in six years I could make a better Aliens game than this, on my own, and that includes having to learn how to make games. Aliens: Colonial Marines is a slap in the face to anyone who put the game on their Most Wanted list at any point since 2007. It’ll be remembered for a long time, but for all the wrong reasons. What a shame. I just feel sorry for those who bought the Season Pass… since there probably won’t be a Season now. But in the end these moments only serve to underline how disappointing the rest of the experience is. And even at its best Aliens: Colonial only achieves mediocricy. It's hard to fathom how this games comes from the very same studio that brought us both Borderlands titles. It seems obvious that Gearbox didn't bring their a-game as it fails to impress in any area. Hay juegos buenos, malos y regulares, y Aliens: Colonial Marines es de los malos... de los muy malos. GearBox demuestra que no convierte en oro todo lo que toca, y malgasta la oportunidad de una extraordinaria licencia con un producto soporífero, torpe y que cuenta con un acabado terrible. Poco o nada que rescatar de una campaña y un multijugador escasos en contenidos, y lastrados por un concepto confuso y una ejecución espantosa. Un juego que cumple muy bien con su papel de secuela oficial de un film de culto y producto para fans, pero del cual se esperaba mucho más dado la cantidad de años en desarrollo y la involucración de un estudio como Gearbox, sobre todo teniendo reciente aún su brillante Borderlands 2. Un terreau acide où rien ne semble vouloir pousser et ce même si quelques séquences efficaces se laissent jouer et si la toute fin donne un léger coup de boost à l'implication du joueur. Mais rien qui ne puisse rattraper le gâchis qui s'anime péniblement sur l'écran. Cette chose qui est train de naître entre vos côtes, ce poids pesant et étouffant n'est pas un chestburster. C'est de l'ennui. Gearbox peut faire de très bonnes choses. Gearbox a fait Borderlands. Mais il est aussi capable de pondre un véritable navet. Délais et budgets auront du mal à expliquer l'aspect archaïque de ce FPS qui échoue à tous les niveaux : gameplay, ambiance, fan service et respect de la licence.